Trevor Hoffman was elected to the National Baseball Hall of Fame and Museum Wednesday, announced by Hall president Jeff Idelson on MLB Network. 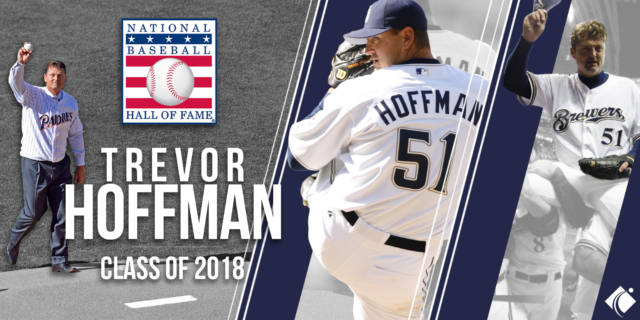 Trevor Hoffman will be honored as part of the Hall’s Induction Weekend July 27-30 in Cooperstown, N.Y. The 601 career saves and 856 games finished for Hoffman are second only to Mariano Rivera’s respective totals of 652 and 952. Major League Baseball established the NL relief pitcher award in honor of Hoffman in 2015. Hoffman was named the NL Fireman of the Year by the Sporting News in 1996 and 1998 . He won the NL Rolaids Relief Awards in 1998 and 2006. Hoffman’s career spanned 18 seasons with the Florida Marlins, San Diego Padres and Milwaukee Brewers. 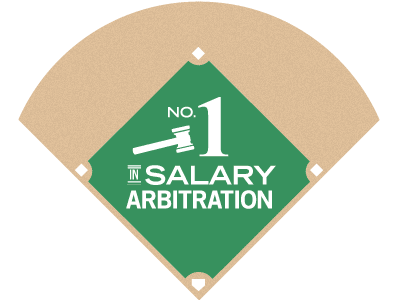 He finished in the top 10 of NL Cy Young Award voting four times and was the runner-up twice, in 1998 and 2006. He is a seven-time All-Star with 30 or more saves in 14 of 15 seasons from 1995 through 2009 and converted 41 consecutive save opportunities, a record since surpassed. Hoffman is represented by BHSC Founder, Rick Thurman.